VIEWS, VIEWS, VIEWS! Amazing views of the bay, dunes and downtown from this contemporary 4bdrm, 2bth home. 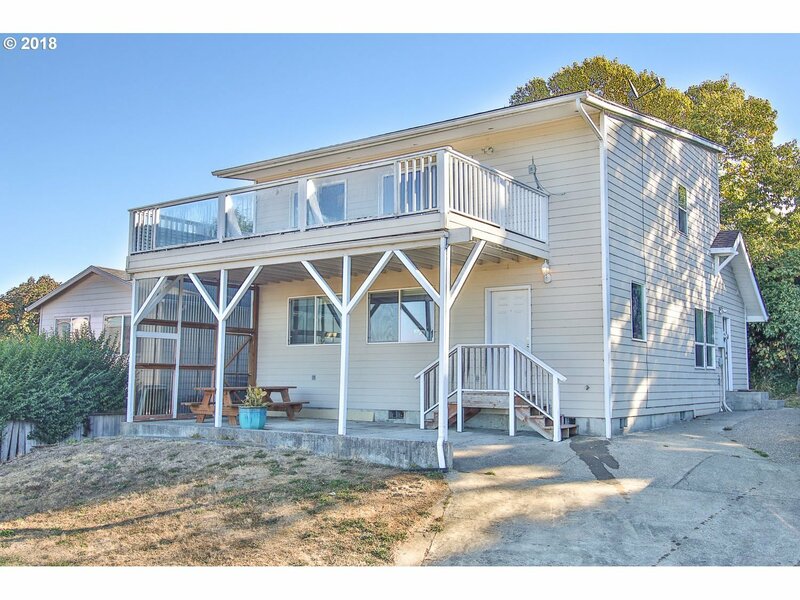 This home is centrally located in our DESIRABLE downtown North Bend area. This beautiful home offers a spacious, bright & open kitchen floor plan into a large family room! GREAT for entertaining guests. Easy walk to Pony Village Mall & the theater or to simply grab a bite to eat. You'll love this home!